Radiator Positioning: Where's the Best Place to Put Your Radiator? If you just bought a new radiator, it doesn’t have to go in the exact same place as your old one. In fact, that spot may not even be the best place for it. 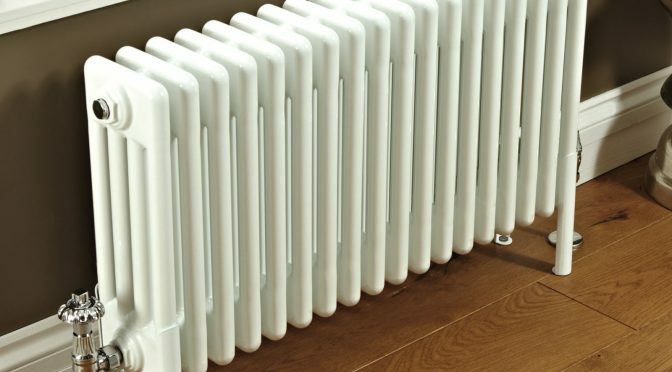 Though there are some places you shouldn’t put radiators, the limitations are a lot fewer than you think. Take a look at this guide to figure out the right radiator positioning for you. Do I Have to Put My Radiator Under the Window? Though that’s where you’ll find most radiators, the answer to that question is no. Then why are so many radiators placed under windows? Back before the time of double-glazed homes, the area underneath the window was the coldest part of the room. Because that part of the room gets cold, it’s the best part of the room to warm up. The cool air from the window would help push the warm air around the radiator up. Circulating the warm air more evenly around the room. The window wasn’t the important part. Radiators just work best in the coldest part of the room. But now that most homes are double-glazed, you might not have any cold spots in your room. That means you have complete freedom to put your radiator wherever you want it. So Where Should I Put My Radiator? Though you can put your radiator wherever you want, there are some things that will reduce the radiator’s efficiency. If you want your room to get as warm as possible, you’ll want to avoid these places. Large pieces of furniture too close to the radiator can block the airflow. In other words, the warm air coming from the radiator will have trouble making it into the rest of the room. Make sure there is nothing big or bulky around the place you decide to put your radiator. You might want to keep your radiator out of the way (or out of the direct line of view), but curtains can block the airflow as well. And long curtains are the worst. They block more air than shorter curtains, so if the only place you can put your radiator is by the curtains, make sure the curtains are short. Do I Have to Have to Put My New Radiator in the Same Place as My Old One? That may be where all the pipework is, but the pipework can be changed. In fact, that is one of the first rules when it comes to picking a place for your radiator. Don’t let the pipework make the decision for you. Of course you have to be a little practical, but talk to your plumber. The place where your old radiator was might not be the best place for your new one. Look for a spot that won’t take up needed floor or wall space and, most importantly, that you think looks good. The right radiator positioning doesn’t come down to anything more than your personal preference. If you have an old house that has cold spots in the room, you may want to place your radiator in the cold areas. But other than that, you have complete creative freedom as long as ou can realistically run pipework to that spot. Get creative and put the radiator where you want it. Still don’t like the look of your new radiator? Take a look at how you can safely paint your radiator.